Charter a yacht and you will be able to combine the most enticing parts of a relaxed beach vacation with the anticipation of an adventurous road trip. Unlike a road trip though, you can jettison the nuisance of daily packing and unpacking. Be the first to find out about high-profile regattas, exhibitions, shows, festivals, luxury art, advertising and travel events. There are few better ways to truly impress your business partners, top employees or clients than by blowing their greatest expectations away. Whisk them off to an exotic hotspot and reveal a picture-perfect yachting itinerary – your job will be done. Choose from any of the featured cruise ships to find the option that best matches your discerning taste. Send your river cruise enquiry now or give us a call to make sure you’re first in line to learn about our latest exclusive offers from our select luxury-cruising partners. Let us help you arrange your perfect holiday experience! 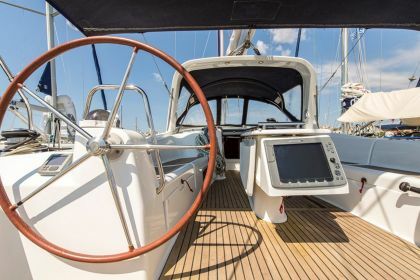 Here we deal with some common questions from clients looking to charter a yacht from us. Give us a call or send your enquiry using this form and we will respond as soon as possible. For the yachting aficionado, there is little that can beat the immense joy and delight of your first cruise aboard a luxury yacht that you have chosen and built. But it’s not the just the launch day that should exhilarate you. By getting the right team of experts on board early on, you get to relish each moment of the build process and ensure the final result meets your discerning expectations. Buying a motor yacht is about so much more than simply perusing listings of yachts for sale around the world, and having someone present a shortlist of suitable options. As no luxury sailing yacht is the same, neither is a luxury-yacht acquisition. It is a complex process, with countless legal, financial and technical complications. Contact your dedicated Abberley sales representative now so we can kick-start the sale process as soon as possible. Give us a call or email to request a valuation for your yacht. We will come back to you with a concrete proposal, including a suggested mix of bespoke campaigns to be implemented on your behalf. 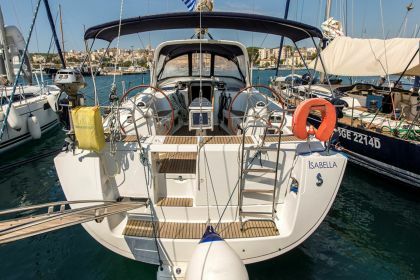 Whether your objective is to protect your investment, increase the chartering potential of your vessel or ensure it has access to the best maintenance, operation and administrative expertise, we are here to support you. As part of our flexible charter-management programme, your luxury yacht will receive only top-notch service. Whether it’s you, your guests or a corporate chartering your vessel for a glamorous function, Abberley Luxury Yachts guarantees perfection for every single charter. As the owner of a luxury yacht, you will expect a top-class crew to match. Our crewing programme takes cognisance of the requirements of luxury ownership and the high-end travel industry. 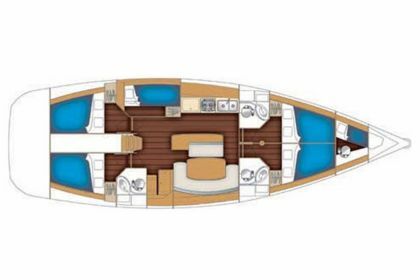 It is consequently designed to ensure you thoroughly enjoy a first-class experience of cruising aboard your own luxury yacht, drawing substantial benefits from chartering your yacht, or both. Join our yacht-refit management programme so you keep your luxury yacht’s downtime as short as possible which means you will enjoy the pleasure of cruising again and reap the benefits of chartering your yacht without avoidable delays. Believe the hype! The Mediterranean welcomes you with a unique combination of enjoyable climate, delightful coastlines, rich history and diverse culture. Here you can find some of the best yacht charter destinations in the world. The Caribbean islands are as good as it gets when it comes to a luxury vacation. Your greatest expectations are sure to be exceeded when you cruise the aquamarine seas off Barbados, Antigua, Leeward Islands or the iconic island of St Barts. Ever dreamed of leaving your cares behind and escaping to North America? Urban sophistication and brilliant-coloured coral reefs, blissful swimming and high-end shopping, penguin parades and upscale restaurants, thrilling dives and magnificent cathedrals - Australia, the 6th largest country in the world, has a wide array of splendours to indulge in. Leave your cares behind and escape to an idyllic island in the Adriatic Sea! There are a million and one reasons to explore the treasures of this region on your luxury yachting vacation. Are you fascinated by the ancient, mysterious world of the Vikings? Well, you can get close to it with a heavenly yachting cruise to the western Scandinavian country of Norway. Get in touch now to take advantage of the latest motor-yacht charter special offers and last-minute deals. Get in touch now to take advantage of the latest sailing-yacht charter special offers and last-minute deals. Whether you need help selling your luxury yacht, investing in a new vessel or berth, building or refitting your prized yacht, or choosing the ideal destination for your next vacation, our dedicated team of professionals are here to help. We share your passion for yachting and want every experience to be the best it can possibly be. Get in touch with our Abberley team. 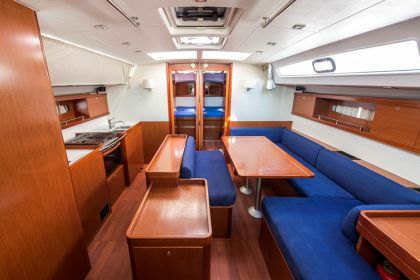 Isabella, an Oceanis 50 Family model, endures with innovative, bright and sophisticated qualities, and accommodates 12 people. 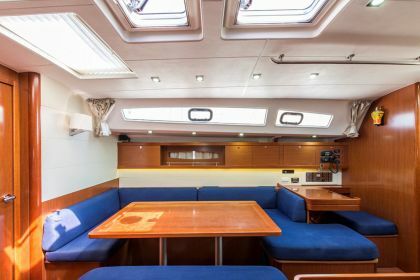 The deck offers plenty of sunbathing and moving space thanks to the low-profile deckhouse. 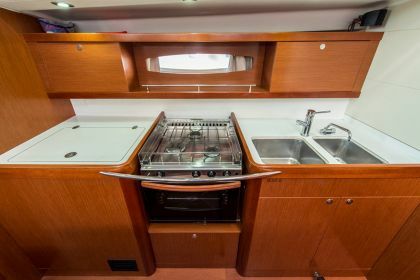 The saloon sports twin sinks in the galley, ample countertop space, and a beautiful veneer showcasing its precise and timeless design. Finally, the sleek fixed arch design feature crowns a comfortable space for the cockpit. ** The information presented on this website is for your reference only. ABBERLEY YACHTS LIMITED declares that all information on this website, including yachts, charter rates, prices, itineraries, services, features, options and functions, is provided “as is”, “as available”, and without warranty of any kind, including warranties concerning yacht availability, precision of descriptions, accuracy of rates and prices, range of services or accuracy of yachting routes, distances and travel times. ABBERLEY YACHTS LIMITED hereby disclaims any and all such warranties, both express and implied. Get in touch now so our industry experts can step in, simplify things for you, and let you get on with the pleasure of yachting. Please feel free to contact us or fill in the form and we’ll get back to you promptly. Specify your time zone and preferred time to be contacted by a member of our Abberley team.